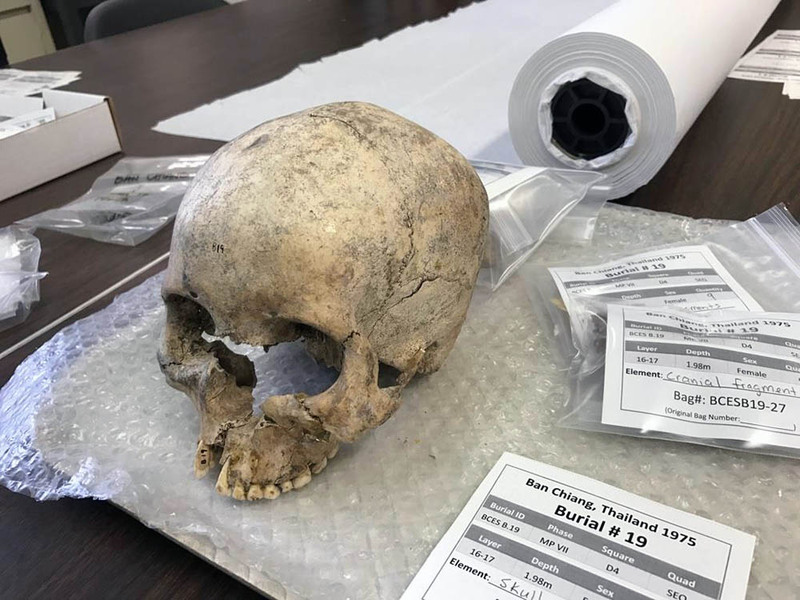 The Department of Anthropology of the University of Hawai´i at Mānoa reports that the collection of Ban Chiang human remains excavated by the Penn Museum and the Fine Arts Department of Thailand have been shipped back to their home in Thailand. Congratulate Mark Oxley, Mike Pietrusewsky, and Miriam Stark for their efforts in making this happen! In 2013, work began on a complete re-housing and inventory of the entire Thai collection with the purpose of repatriating the collection back to the Thailand Fine Arts Department. Skeletal elements were individually wrapped and labeled.